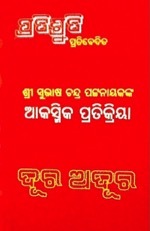 Law has changed Orissa and its language Oriya to Odisha and Odia in English respectively. 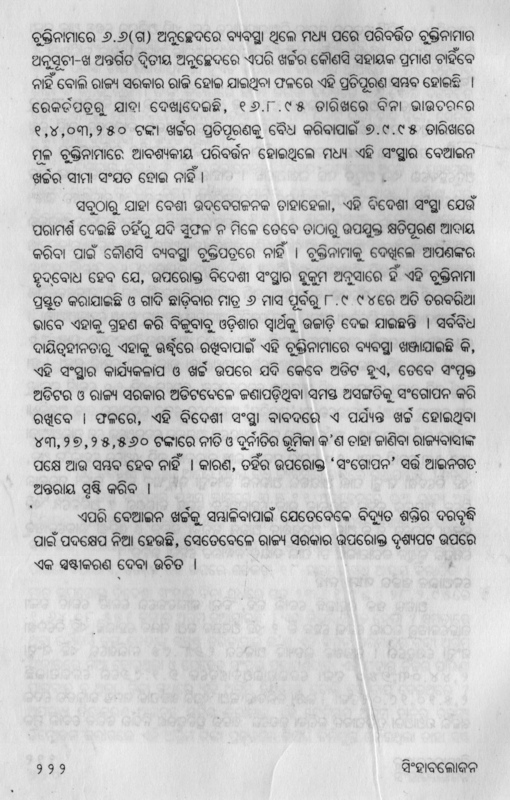 This is a very irresponsible law created by politicians having no knowledge on and devotion to classical uniqueness of Oriya language. When this bad law was on the anvil, we had opposed the proposal through several articles in these pages on grounds shown therein. And, when finally the law was created, we took it as an act of stupids. We stick to our observation and vow not to honor the bad law, come what may. 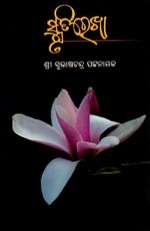 For us, the classical uniqueness of our mother tongue Oriya is more important than the law enacted to change it. So, here we shall continue to use the words Orissa and Oriya notwithstanding enforcement of the law that has wrongfully changed them to Odisha and Odia. This is why this site will continue as orissamatters.com instead of converting into odishamatters.com on the strength of our devotion to the mother tongue which no law can change. It is time for Orissa to wake up. Paradip Port is being pushed into ruins because of Adani’s Modi link and Jindal’s foul motive. Cabinet heavyweight Dr. Damodar Raut is right in his observation (The Sanchar, 20 September 2015) that the two political parties – BJP and the Congress – are precipitating the situation, without mentioning the name of Adani and Jindal, known in the context of both the parties respectively, to whose trap Paradip is being shepherded by the non-Oriya Chairman-in-charge of the Port Sri M. T. Krishna Babu. As far as Jindal is concerned, his design to occupy the Gopalpur Port through the back door having failed, he has a grudge against Sri Mahimanand Mishra whom the port has been legally allotted. Under the leadership of the same Mahimanand Mishra, stevedoring being most trade-friendly in Paradip Port since at least 1984, it has emerged as the second best major port of India. Jindal wants this reputation to be ruined and trade-friendly image of Mahimanand be damaged in the eyes of the global exporters and importers to checkmate his prospects at Gopalpur. The recent stoppage of stevedoring in Paradip Port is considered to have been provoked by Jindal-Krushna Babu nexus. This evil development is designed to add strength to a maneuvered branding of Paradip Port as “not trade-friendly” by a notorious report of an appointed agent – Port of Antwerp International (PAI), Belgium, in order to show it sick, so that Adani being the nearest Dhamara port owner, can acquire it too by using Modi government’s policy of privatization. Every debacle Paradip would face from now would increase advantage for Adani. This is why, as Dr. Raut has written in the front page of his paper mentioned supra, both the Congress and the BJP have extended their support to the troublemakers for pushing Paradip Port into unrest and loss. Paradip is Orissa’s port of pride, for which, the people of Orissa have sacrificed their land and life. I was in an informal Press meet when Biju Patnaik, sans any qualms, had revealed how he had directed the Police not to take cognizance of accidental deaths when anybody was getting crushed under the wheels of speeding trucks engaged in construction of the highway from Daitari to Paradip. Anybody may visit the old pages of newspapers of those days to locate how frequently human casualties were taking place under the speeding trucks without any police action. Over and above this, had the land parcels of marginal farmers not been snatched away for the purpose of the said road, Paradip could not have survived as a port. So, this Port is the outcome of supreme sacrifice of the people of Orissa. Despite this huge loss of life and farming lands, people of Orissa pride over Biju Patnaik for having build up this port and to them, the port is their property. Yet, now, as the same Biju Patnaik’s son Chief Minister Naveen Patnaik is mysteriously silent, a non-Oriya officer chairing Paradip Port Trust, is creating a climate of contradictions and confrontation in the so far peaceful and perfectly working operational sphere of cargo handling, oblivious of the fact that, behind the Port’s evolution as the second best Port of India, peaceful loading and unloading of the vessels is the only factor, not the officialdom. Any clerk can act as chairman to sign a paper to show perfect functioning of the port, if stevedores act peacefully. But any chairman can ruin the port by mishandling the stevedores. 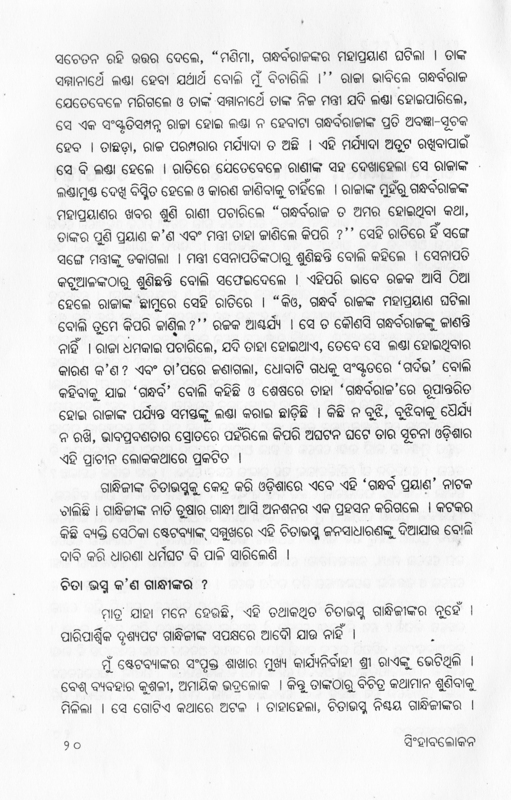 The incumbent chairman is doing exactly this; and unless people of Orissa wake up to foil this evil design, the sacrifice they have made for Paradip would be of no value and the port would soon be lost in the labyrinth of foul play being perpetrated by and through the non-Oriya Krishna Babu. In the year 1984, mismanagement of the Port had ignited such severe infighting between different groups engaged in stevedoring that the Inspector-in-Charge of Paradeep Police Station and his associates together with four laborers on records had lost their lives. 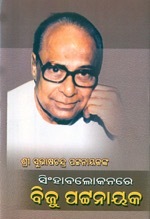 Because of the fast by the revered Communist leader Loknath Chowdhury, the operating stevedores had formed an Association styled ‘The Paradip Port Stevedores Association’ (PPSA) and had signed an undertaking to the effect that “no Stevedore shall try to take away the work of another Stevedore so long as NOC is not obtained“. Whosoever was to join the Association was to abide by this undertaking and this was the cause of peaceful cargo handling so far, despite three-fold rise of the licensed bodies of stevedores. Yet, to ensure fair pay and employment, in Civil Appeal No.1422 of 1990, the Supreme Court of India had, on 15.03.1990, directed to constitute a High Powered Committee under Chairmanship of Mr. H.R. Khanna, to decide the question of listing the unlisted laborers and their welfare measures at Paradeep Port Trust. Justice Khanna had recommended for a Management Committee (CFH) comprising all “Stevedores”, “Senior Officials of Paradeep Port Trust” and “Labour Representatives from different labour Unions” to manage the matter in a collective process so as to eliminate the possibility of unrest in future. 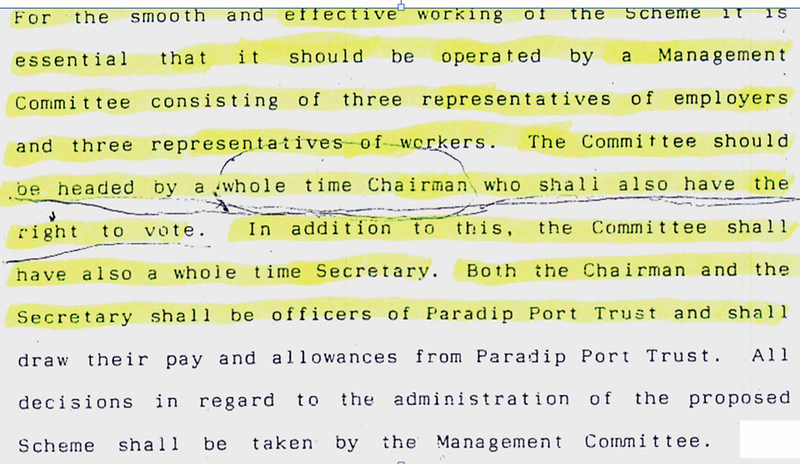 From the above extract of Justice Khanna’s binding recommendation, it is clear that cargo handling and Stevedores’ amicability shall be ensured by a “whole time chairman”. But in blatant disregard to this emphasis, the central government has posted Sri Krishna Babu as a part-time chairman, whose motive seems malicious in matter of Paradip. It seems Mr. Krishna Babu is determined to kill the peaceful climate of Paradip. He has ushered in unrest by encouraging troublemakers to contravene the 1984 norms. Despite end of a port-provoked stoppage of work on September 22 on the basis of a collective decision to resume work, another organization styled ‘Utkal Stevedores Association’ has been registered the same day, the PPT and the Collector of Jagatsinghpur having kept it hidden from PPSA. This is nothing if not further provocation to precipitate confrontation amongst the Stevedores. This provocation is suspected to be in consonance with the design to demolish Paradip’s image as a peaceful port. Let us revisit the design to know the reality. When stevedoring was running smoothly, the Jindal Steel and Power Ltd (JSPL) quashed its stevedoring assignment given to Orissa Stevedores Ltd of Sri Mahimanand Mishra on 14 April 2015 in apparent reaction to Jindal’s failure to grab the Gopalpur port from the back door. JSPL informed the PPT that its cargo would be handled by Sahara Engineering Pvt Ltd (SEPL) instead of OSL. Though as per the 1984 terms and norms, no Stevedore should have tried “to take away the work of another Stevedore”, OSL ignored the mischief and issued ‘No Objection Certificate’ (NOC) in favor of SEPL. When this stevedore was continuing the work, JSPL made three companies – M/s Swastik Stevedores Pvt.Ltd (SSPL), M/s Seaways Shipping and Logistic Ltd (SSLL), and M/s Sahara Engineering Pvt Ltd (SEPL),– sign letters of intent with it on 08 June, 09 June and 10 June 2015 respectively to handle its cargo. Yet again, when SEPL was working on JSPL assignment, SSLL, which is not a member of PPSA, snatched away business of SEPL in blatant contravention of the 1984 norms that provoked the unrest. PPT chairman should have taken responsible role in ensuring that neither JSPL nor SSLL violate the established norm; but he deliberately stayed nonchalant. From confession of SSLL on 14 August 2015 it transpires that it had to handover the work back to SEPL under instruction of the Additional District Magistrate, even though JSPL had assigned the work to it and PPT had given the permission. This makes it clear that even though handling of cargo by SSLL was impermissible, PPT chairman had allowed that for the sole purpose of provoking unrest, hand-in-glove with Jindal. JSPL had no grievance against its previous handler. It had never explained to the PPT as to why it wanted to appoint new handlers. When, as such, there was no reason to change the contract, PPT – whose reputation and credibility rest on peaceful handling of the cargo, and in fact for which Paradip has emerged as the second best major port – should have taken all steps to prevail upon JSPL not to appoint new agents so arbitrarily to handle its cargo. If rate of the service or any other issues were behind the dislocation, the PPT chairman should have encouraged conciliation between the parties in real interest of the Port. Instead of doing that, he tried to intimidate the stevedores in the meeting he took on 14 August 2015. Ignoring the reality that Paradip has emerged as the 2nd best major port of India due only to the most peaceful and disciplined stevedoring, Krushna Babu threatened them with stern action if stoppage of work irritates any outside customer. As per the minutes of the meeting held on 14 August 2015, he wanted them “to allow operations by any Stevedore”. This is a clear disrespect to the undertaking of 1984 that has stipulated that no Stevedore shall try to take away the work of another Stevedore so long as NOC is not obtained. I quote from the said minutes to show how the peaceful members of the PPSA, because of whom alone the Port has been recognized as the 2nd best major Port of India, were subjected to intimidation by the authorities. Adherence to the undertaking of 1984 “shall not be tolerated”, Krushna Babu had roared. To add force to this mischief, the Superintendent of Police threatened that, “the authorities will be forced to take strictest action” if the members of PPSA insist upon adherence to the 1984 undertaking. Despite such naked attempts of PPT Chairman and Jagatsinghpor SP to intimidate the stakeholders (members of PPSA), the hard reality that the conduct of Jindal and his agent Seaways (SSLL) was malicious, the first resolution of the meeting was worded cautiously. To quote it, “JSPL and Seaways should make sincere efforts to coordinate with other stakeholders to do their business in a peaceful atmosphere in Paradip Port. It was advised that they should make sincere efforts in this regard before arrival of the next vessel”. 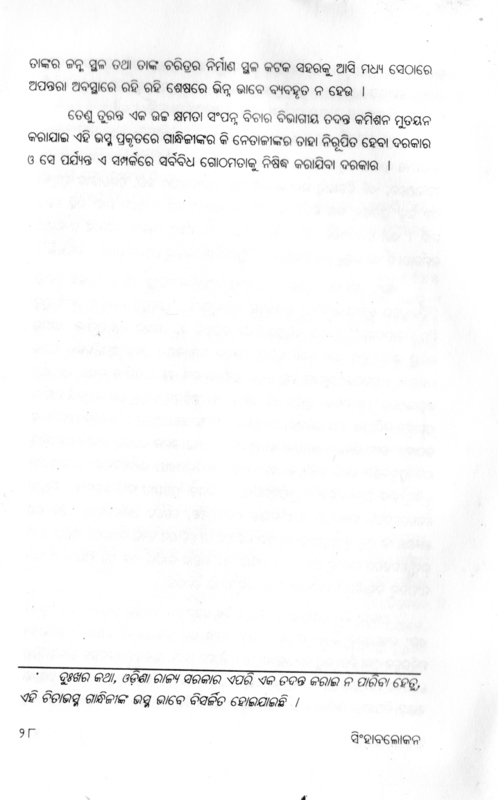 This resolution makes it clear that JSPL and its agent Seaways were ruining the “peaceful atmosphere in Paradip Port”. They were, therefore, “advised” to “make sincere efforts” to “coordinate with other stakeholders” meaning the members of the PPSA, “before arrival of the next vessel”. 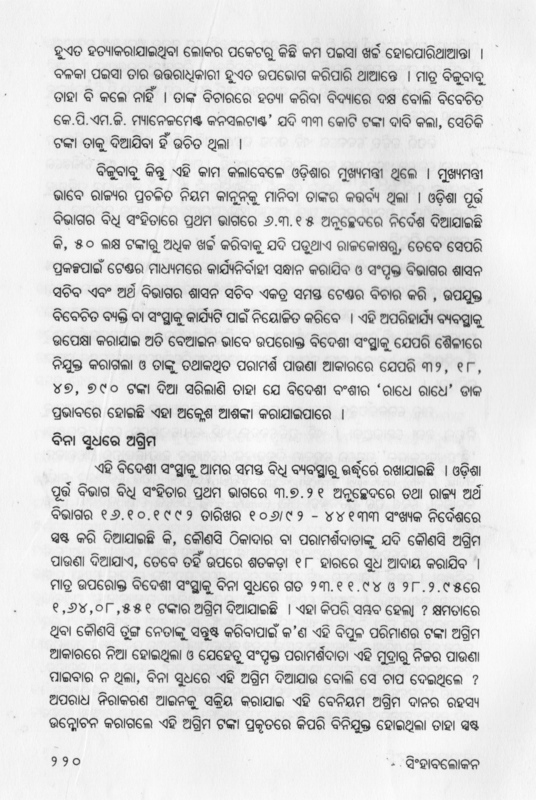 Strange, despite such assault on “peaceful atmosphere in Paradip Port” by Jindal and his agent, instead of subjecting them to discipline, the PPT chairman had instigated the police to act against the peaceful members of PPSA under the influence of Jindal and had threatened them with dire consequences if they insist upon adherence to the 1984 undertaking. The matter is more intricate. The non-Oriya chairman of PPT is hand-in-glove with Jindal to destroy the “peaceful atmosphere” prevalent so far in Paradip. 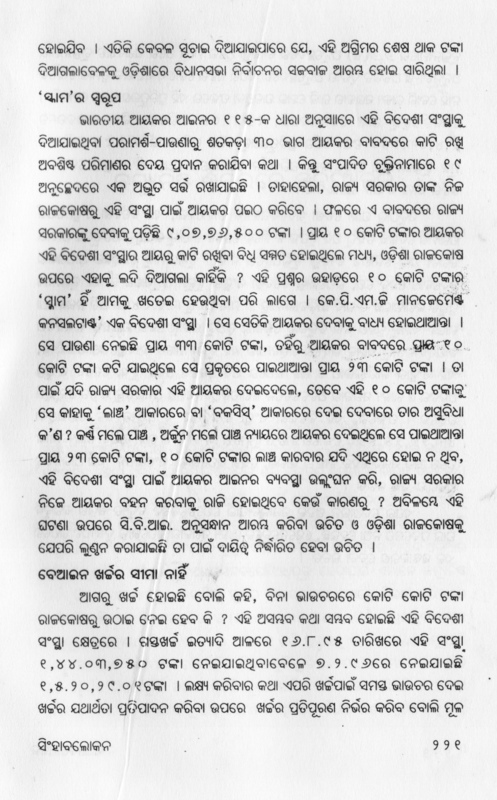 When in the meeting held on 14 August 2015, “It was agreed further that representatives of Seaways, JSPL and other stakeholders will meet for an amicable solution before the arrival of next vessel to be handled by Seaways”, and further when on the basis of this agreement, the Traffic Manager of the Paradip Port had written Letter No. 3496 to JSPL on 26 August 2015 that it should take “an appropriate decision for allocation of a ship to SSPL” only “after the scheduled discussion with the other stakeholders as per Minutes of the Meeting (dated 15 August 2015)”, the Port Chairman (in-charge) Krushna Babu berthed the vessel HARM carrying JSPL cargo at Central Quay I on 16 September 2015 and allowed its handling by the controversial SSLL, which forced the shocked stevedores to stop work. 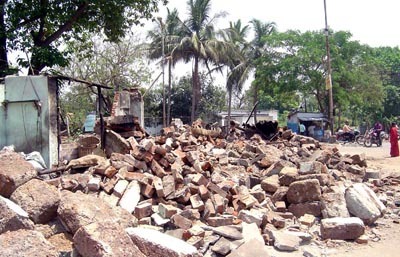 For this dislocation in Paradip, one person is squarely responsible. 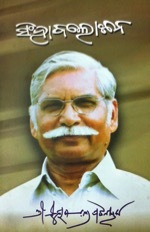 He is M.T.Krushna Babu, the in-charge Chairman of PPT. He has acted against the interest of the Port hand-in-glove with Jindal and ruined the “peaceful atmosphere” of Paradip, the end beneficiary of which will be Adani as the “dent on image of Paradip Port” may eventually prompt vessels to prefer the nearby port of Dhamara that Adani has acquired with Prime Minister Modi at his back. If Krushna Babu is not playing the game on behalf of Adani, the Modi government should investigate into the provocation he created for stoppage of work at the Port and initiate exemplary action against him sans any delay. Paradip is certainly rushing into ruins under non-Oriya conspiracies. As the people of Orissa have sacrificed their lands and lives for this Port, let Modi government be notified that this State shall not tolerate this foul play. Dominated by non-Oriyas, a pack of stevedores have floated, as noted supra, a new body styled Utkal Stevedores Association. We have reasons to suspect that this new outfit is created to precipitate the ruin of Paradip, in which, Krushna Babu has secret hands. If not, let him not allow this new association to operate in Paradip Port, without approval of the existing and excellently working Paradip Port Stevedores Association. The port cannot be allowed to be pushed into ruins by the non-Oriyas, and their political godfathers in the BJP and the Congress. Nothing new I am going to say. I am going to repeat what I have said repeatedly earlier. To save the city’s inhabitants and visitors from mosquito menace and from pernicious pollution, Orissa Legislature had stipulated in the Orissa Municipal Corporation Act, 2003 that cowsheds must stand obliterated within the limits of Bhubaneswar Municipal Corporation (BMC) with immediate effect. Most of government lands in important areas of Bhubaneswar are illegally occupied by the milkmen who do lucrative business by keeping hundreds of cows in sheds erected on the encroached lands. 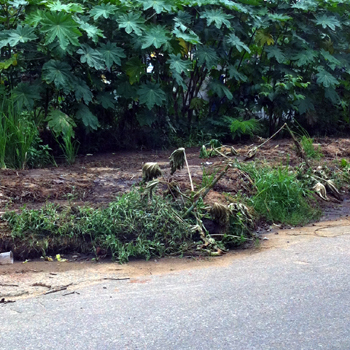 The 2003 Act was to clear the encroachments and free the capital city of pollution and mosquito menace. 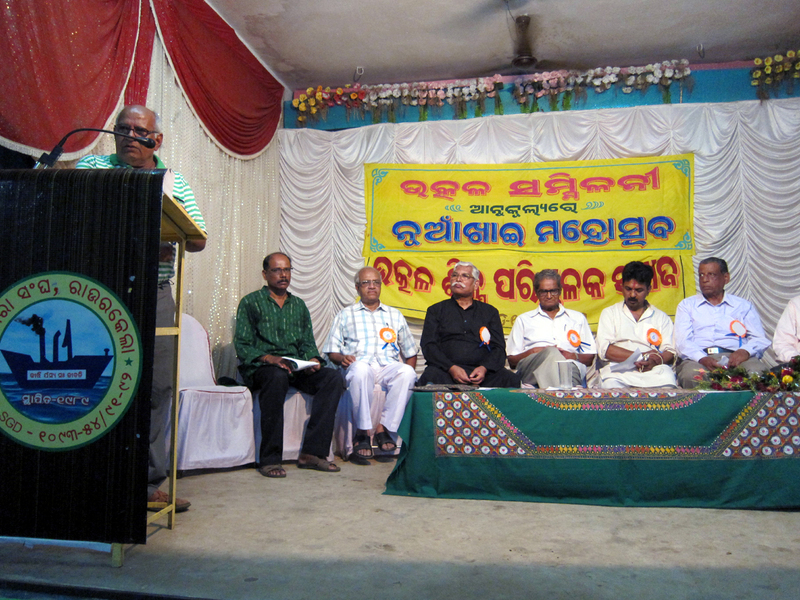 They formed an organization styled ‘Orissa Milk Producers Association’ and moved the Orissa High Court against this new Law, praying for its nullification or in the alternative, direction to the Government to rehabilitate them in suitable places in the city before eviction and not to impose prohibition on running of cowsheds. Orissa High Court rejected their plea. They went to the Supreme Court of India against the order of the High Court. There they also failed. The Supreme Court, in deciding Civil Appeal No.940 of 2006 arising out of SLP (C) Nos. 16362-16363 of 2004, made it absolutely clear that the milkmen must be evicted from the limits of BMC and must not be rehabilitated anywhere in the City and its periphery, as “Right to environment being a fundamental right, it is the duty of the State to make it sure that people get a pollution free surrounding”. The milkmen had pleaded that the present Chief Minister’s father had assured them with rehabilitation and hence they should be given plots in substitute to run their business. Rejecting this plea, the Supreme Court had declared, “In view of the 2003 Act, even the doctrine of Promissory Estoppels will have no application”. Thus the Supreme Court has not only rejected the plea of milkmen to have cow-buffalo-swine-sheds in Bhubaneswar, but also has fortified the provisions laid down under Sections 409, 543 and 548 of The Orissa Municipal Corporation Act, 2003, which prohibit keeping animals of cow category anywhere within and around the city limits. The judgment delivered on February 2, 2006 is published in (2006) 3 Supreme Court Cases 229. So, there was no legal problem at all over demolition of cowsheds and eviction of milkmen with their herds of animals to free the city from stench and flies and mosquitoes and malaria and filariasis and dengue and threats of cancer and tuberculosis. 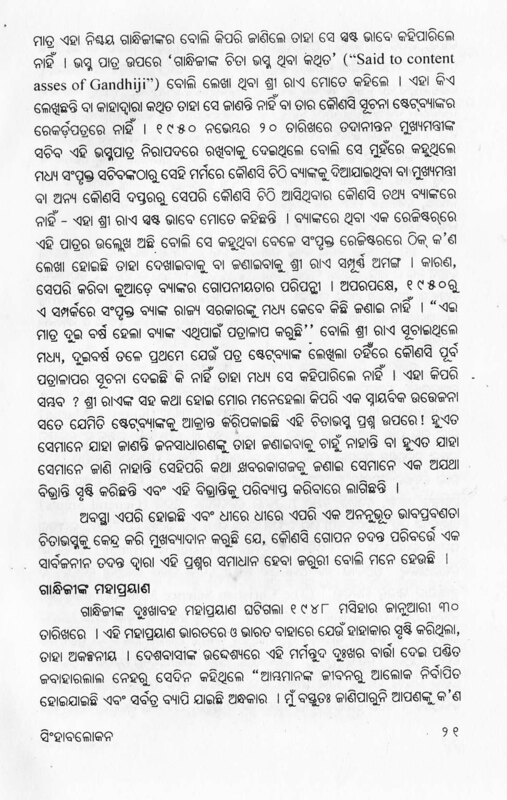 (ORISSA MATTERS, January 7, 2009). But, for reasons best known to the Chief Minister, the milkmen, instead of getting evicted, are protected by the department directly under his charge. As the corrupt government has protected this menacing danger to human health, the city of Bhubaneswar has become a den of nitrous oxide, methane and other greenhouse gases as well as noxious stinks produced by these illegal cowsheds. 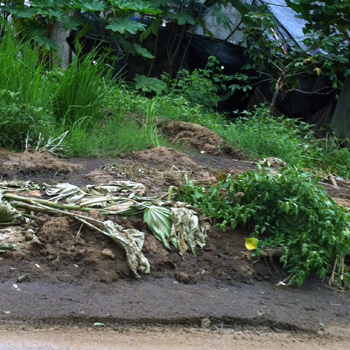 It is established that ammonia (NH3) evaporating from cow dung and urine play havoc with environment. An adult cow emits 80 to 110 kilograms of methane gas over its lifetime. Four thousand illegal cowsheds in Bhubaneswar harbor at least 4,00,000 adult cows at the rate of 100 per shed in the average. So, one fears, Bubaneswar is forced to face 400, 000, 00 kg methane gas menace, because Naveen Patnaik’s government is in nexus with the milkmen. The whole city is under layers of arsenic gas generated by burning of cow dung cakes by the milkmen for cooking and for repelling mosquitoes from their cowsheds and attached huts where they live. Arsenic is slow-poisoning the people residing near the cowsheds and specifically, the children. Cases of TB, Chronic Obstructive Pulmonary Diseases and Pneumonia, Lung Cancer are increasingly hitting the Bhubaneswar Hospitals. Malaria, Filarial infection, Dengue and such other diseases caused by mosquitoes, various allergies, skin diseases, and cardiac problems are in the rise in the obstinately unhygienic environment the milkmen have created. To save Bhubaneswar from this monstrous danger, the Assembly had laid down under Sections 409, 543 and 548 of The Orissa Municipal Corporation Act, 2003 that the city must be immediately made free of Milkmen. Their association, as already shown supra, had challenged it up to the Supreme Court and failed. Yet it is not implemented. If anything, it is a naked offense against the Orissa Legislative Assembly. As my sources say, the milkmen were paying Rs.300/- as protection money to GA department Officials which after enactment of the Act of 2003 had reached Rs.2000/- per cowshed. After the Supreme Court rejected the milkmen’s case and fully endorsed the Act of 2003, giving a direction to the State government to oust the milkmen forthwith from the city limits and periphery of Bhubaneswar, the protection money has been increased from Rs.2000/- to Rs.4000/- well within the knowledge of the Chief Minister. 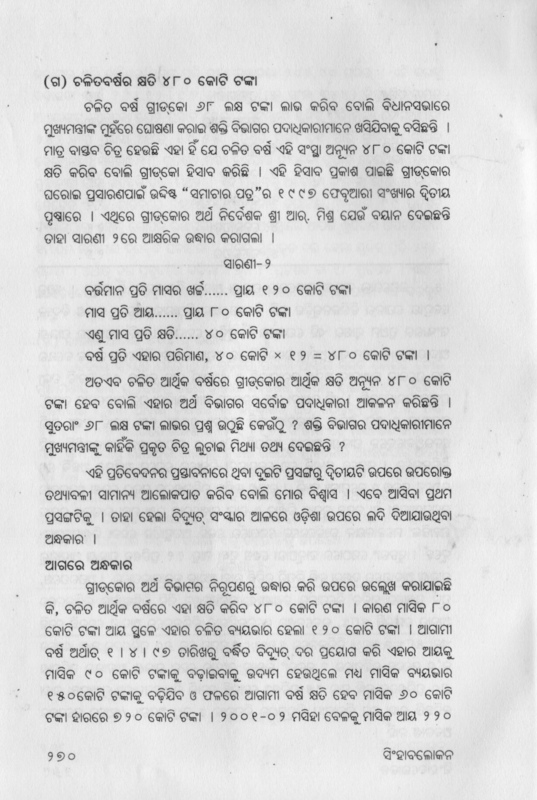 If Chief Minister Naveen Patnaik is not involved with this scam, he should come forward to clear the doubts by explaining as to why his administration has not taken any step to demolish the cowsheds and to evict the cowherds and to free the government plots from their encroachments and to save Bhubaneswar from mosquito menace, from mosquito induced calamities like dengue, pollution, from the hazards of nitrous gases, from arsenic poison, from ammonia, from filth of cow dung and stench and from abnormal rise of temperature and collapse of its habitable climate under impact thereof. The most beneficial Act has most brazenly been rendered inconsequential by Naveen Patnaik. And in this, we see, the Supreme Court verdict has gone barren. It is time, the Supreme Court should ask the CBI or appoint a special Commission to conduct an in-depth investigation into why the State Government has slept over its order passed in Civil Appeal No.940 of 2006 arising out of SLP (C) Nos. 16362-16363 of 2004, published in (2006) 3 Supreme Court Cases 229. We may remind the Supreme Court that in the said order it had mandated that “Right to environment being a fundamental right it is the duty of the State to make it sure that people get a pollution free surrounding”. We may further remind the Supreme Court that in the said order, it had emphasized that. “Not only filth, stench and unhealthy places have to be eliminated, but the (town planning) would be such that it helps in achieving family values, youth values, seclusion and clean air to make the locality a better place to live”. The pictures of filth given here are captured with the camera near about the State Secretariat. Minister Sanjay Das Burma is staying about 50 meters from this spot. many ruling-party heavyweights and IAS officers are living around this spot. This is the picture of a very important nerve center of Bhubaneswar. What is happening in the interior of the City can easily be imagined. As already said, there are 4000 such spots where cowherds are keeping hundreds of cows in illegally built up sheds, filling the entire area with filth. The Supreme Court as well as you dear visitors may please appreciate that no camera can capture the stench. Just imagine, how is Naveen Patnaik managing the affairs. I call upon every responsible person, who peruses this posting, to ask the Chief Minister of Orissa to explain as to why he has kept the 2003 Act inconsequential if he is not involved with the Rs.1.6 crores monthly scam generated by his perceivable nexus with the milkmen. These pictures would show how slums and kiosks, even temples are razed down in course of retrieving public premises from encroachments. 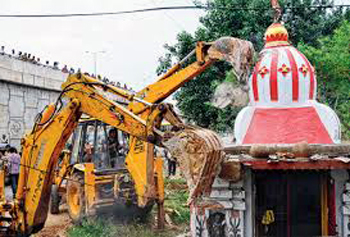 But, despite the specific Act of 2003 and orders of the Orissa High Court and the Supreme Court of India no cowshed has ever faced the eviction crew. Dengue is taking heavy tolls of human life and all other hazards as noted above are pushing people into death’s pernicious grip. But the milkmen are protected, possibly because around 4000 milkmen are greasing the palms of fellows empowered to implement the Act and the verdicts with at least Rs.4000/- per month. Shame! Past comes alive with Netaji files: His ashes were immersed as Gandhiji’s despite warning! 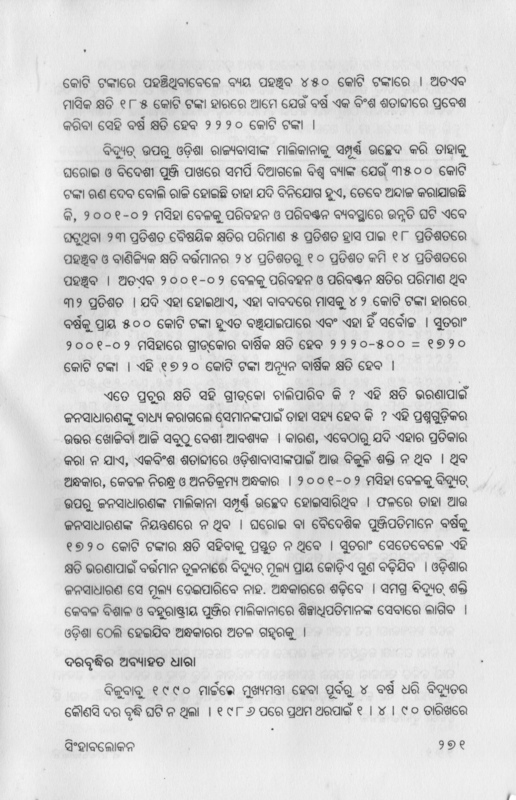 Declassification of any numbers of Netaji files will not help us condemn the wrongful immersion of his ashes as Gandhiji’s by Tusar Gandhi, when a Bengali manager of the State Bank of India at Cuttack tampered with the Urn and created a climate of confusion that made the judiciary issue such a direction in 1996. (3) Despite modern outlook, he was a Hindu where body after death is consigned to fire and the ashes collected after funeral returns to the birthplace for immersion. Therefore, after his cremation, a portion of his funeral ashes was preserved in the Rankoji temple in Japan and another portion was delivered to Chief Minister of Orissa, his birthplace, in hope of its respectful disposal. The great Gandhian Nabakrushna Chowdhury was then the Chief Minister. The urn containing Netaji’s ashes was given to him in November, 1950. It was highly sensitive a matter. People in general were considering the central leadership responsible for the debacle Netaji was subjected to and were deeply disturbed over the news of his death. Neither Netaji’s family nor Government of India had confirmed his death. To tell the people that his ashes had arrived was to invite a totally uncontrollable disturbance. Hence Sri Chowdhury thought it prudent to keep the urn containing Netaji’s ashes temporarily in the safe custody of the Imperial Bank of India, which eventually became the State Bank of India. 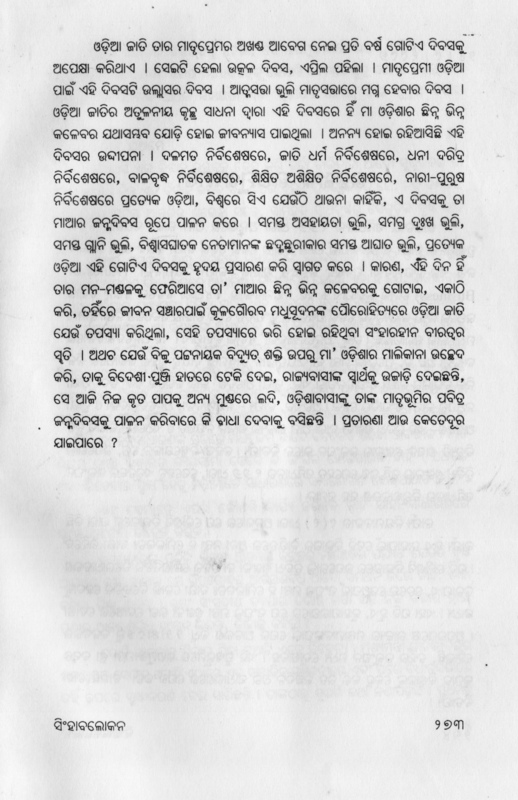 And, he had handed over the urn, as circumstantial evidences convince us, personally to the manager of the Bank on 20 November 1950, where, it was safely kept till the Bengali manager of SBI, Treasury Branch, Cuttack tampered with the records and created the misguiding commotion in 1996 through another Bengali photojournalist. It was not that the Bank manager had not known the Cuttack based regular journalists; but he relied upon a Bengali photojournalist to spread the news that Gandhiji’s ashes were left abandoned in an urn in the locker of the SBI. I had interviewed the said manager and his faltering answers had convinced me that he was telling deliberate lies. I had discussed the issue and warned that the ashes should not be disposed off as that of Gandhiji till it was decided that the same did not belong to Netaji. I had given enough reasons in support of my argument that the ashes, if at all the urn contained that, were of Netaji, and could never be of Gandhiji. I had insisted that the same be determined forensically before any further steps were taken. 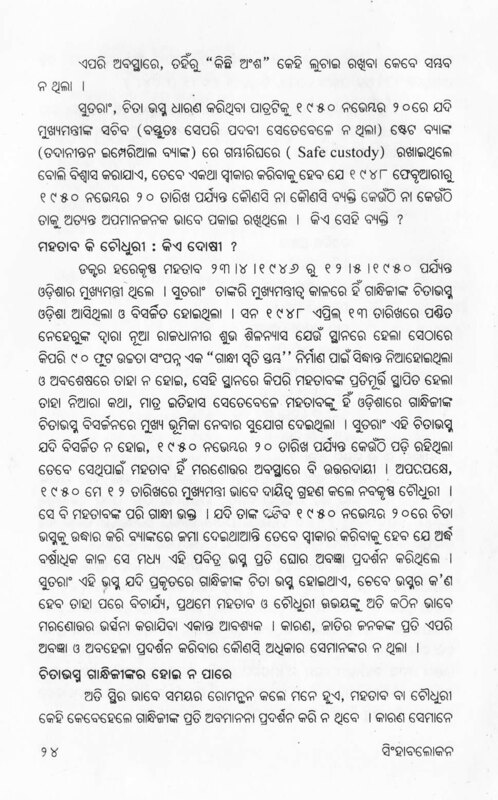 Published in the most advanced daily of the State ‘Sambad’ on 18 April 1996, it had reached massive numbers of readers in the general public and who’s who in political, executive and judicial administration. Neither the people nor the State in its above three branches bothered. I was not a litigant to prefer any case in the Court. And, the blunt-heads whom Netaji cannot be accepted to have died, enjoyed the ugliest turn the urn had to take, as Sri Tusar Gandhi was handed over the urn for immersion wherever he deemed proper. 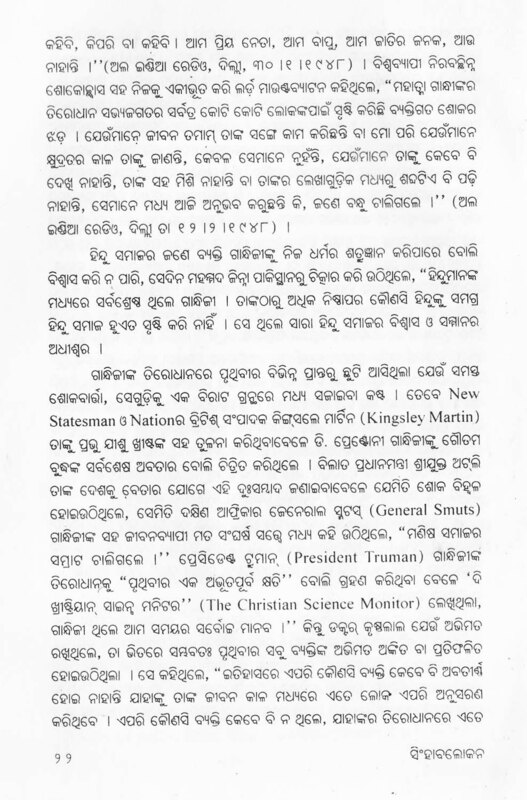 When a Cuttack-based publisher ‘Bharata Bharati’ produced a 740 page mega-compilation of my column ‘Singhavalokana’ in 2010, this discussion captioned GANDHARBA PRAYANA, CHITABHASMA: GANDHIJI O NETAJI occupied the first position in the said book. 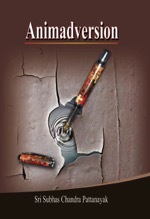 Most of the men who matter have obtained the book and the topic has a calling position before their eyes. Nobody has countered my argument; but none of them has dared to approach the truth. It is unfathomable for me to know, as a people, what have we become. 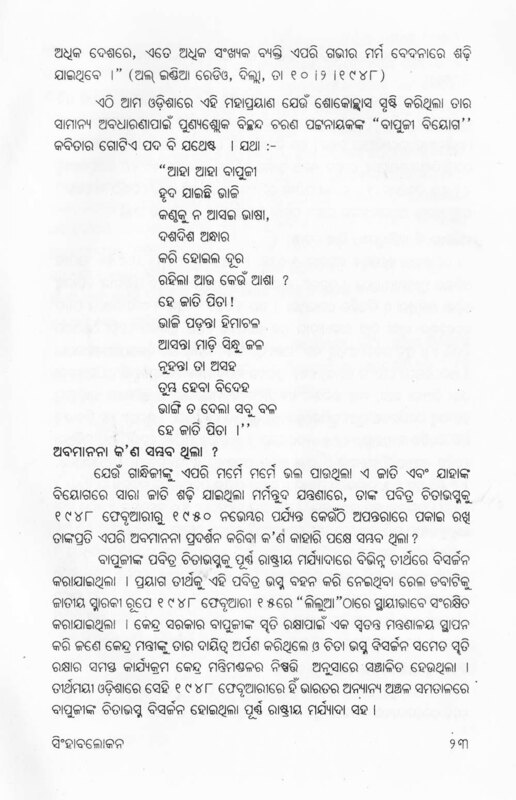 In the circumstances, I deem it proper to post the published article here for my visitors who belong to Orissa and speak, read and understand Oriya, specifically as it was written 19 years ago. Those who were in High Schools then, must have become 35 years or so old by now. Let them visit/revisit what I believe to be the truth in order to accept or reject it in quest for truth. 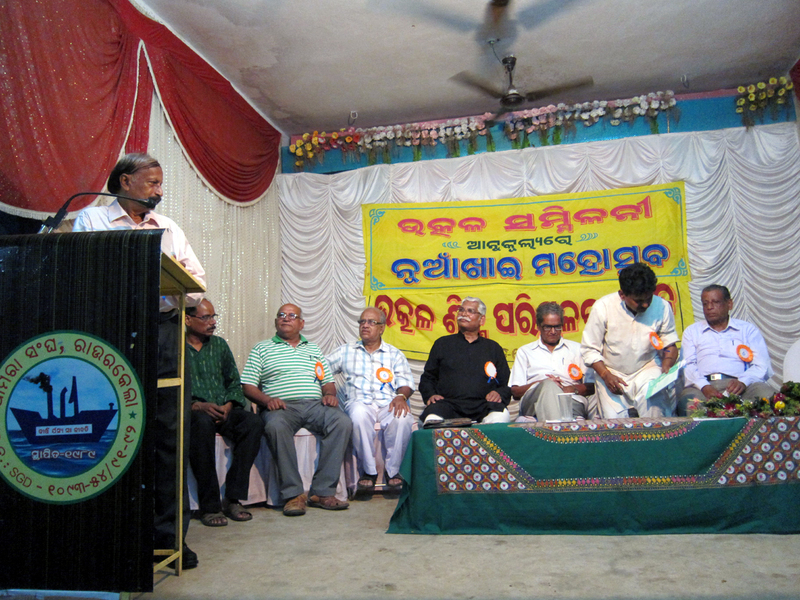 The Rourkela branch of Utkal Sammilani celebrated Nuakhai on the appointed day (the day following Ganesh Chaturthi) which occurred this year on 18th September. 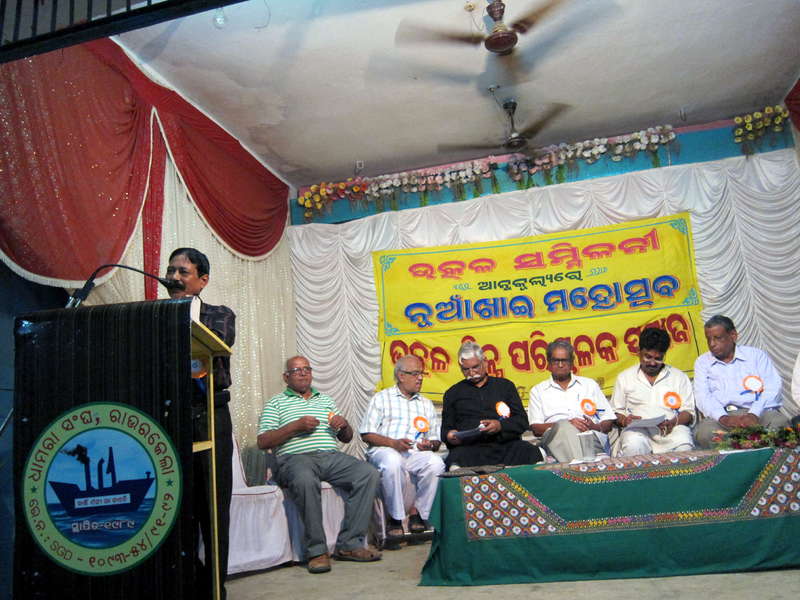 Former Minister and incumbent Chairman of Rourkela Development Authority Sri Sarada Prasad Nayak graced the event as the Chief Guest, Chief of orissamatters.com as Guest of Honor and Prof. Biswaranjan as Chief Speaker. 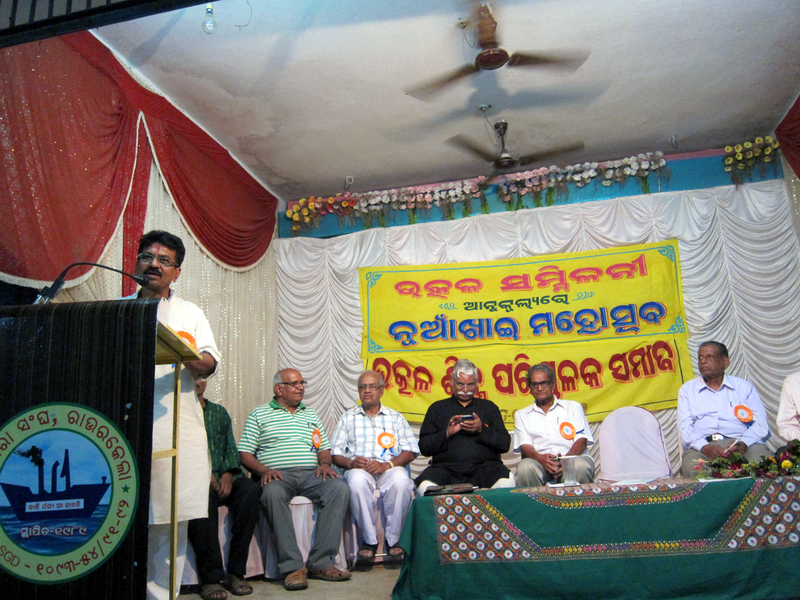 Held at the Dhamara Sangha premises, the festival was inaugurated by Dr. Bhabagrahi Mohapatra with ceremonial lighting of Lamp and dedication of the event to Maa Samalai. 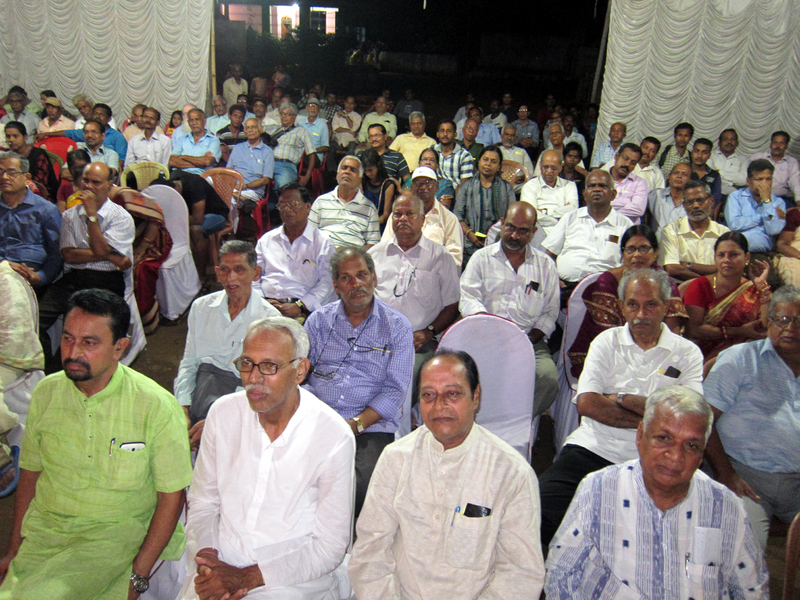 Advocate Gobarddhan Pujari presided over the event. Describing Nuakhai as basically an festival of new harvest, he gave a picture of how it has evolved into the most cherished mass function on being fixed to a particular day. General Secretary of the Branch Sri Akshaya Kumar Das presented the guests, following Orissa’s National Anthem ‘Vande Utkala Janani’ recited by Ms. Minakshi Dhar. 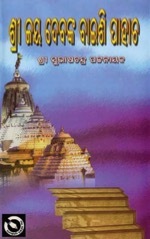 Sri Ramesh Suna rendered Samalei vandana. 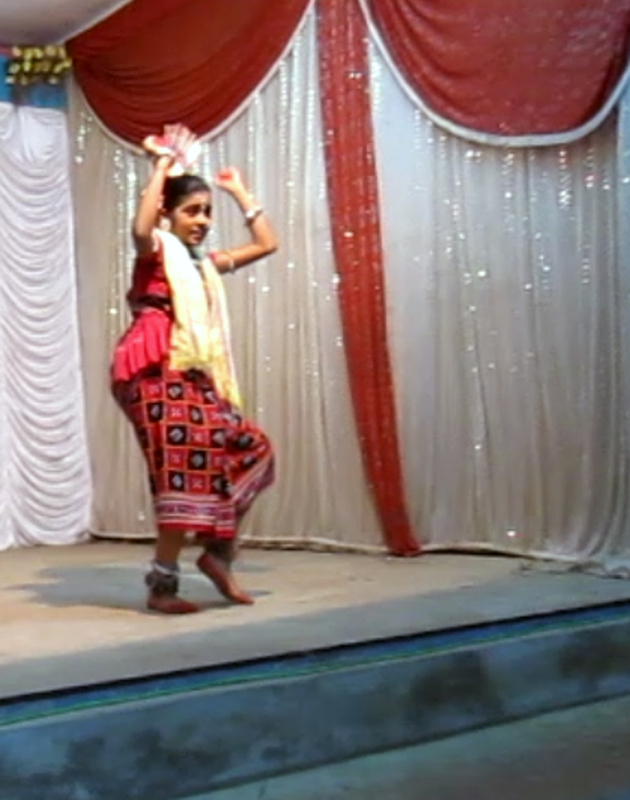 Utkala Sammilani has been celebrating this festival here for the last 32 years. 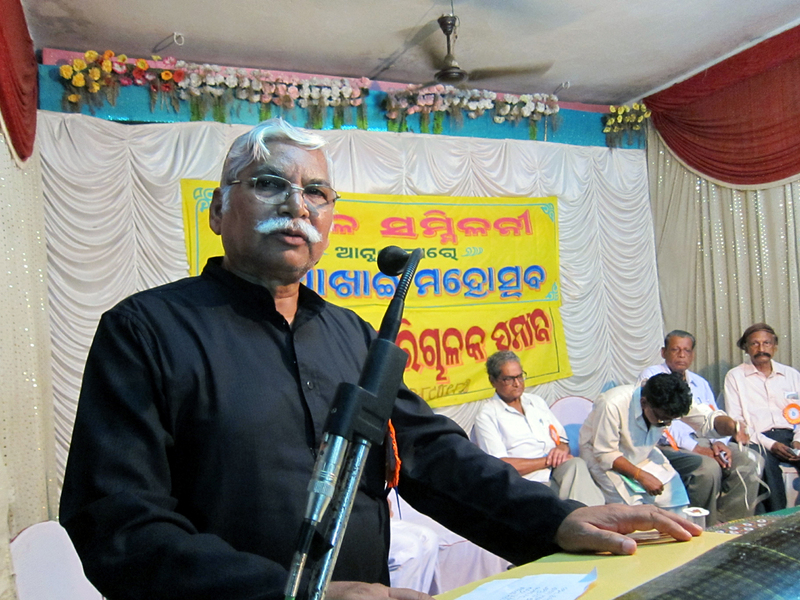 In introducing the event, Vice-President of Utkal Sammilani Sri Bichitrananda Sahu recalled how the entire Oriya race had woke up to force the British authorities to quash their own mistake that they had perpetrated by dividing Oriya speaking tracks and to resurrect Mother Orissa on the basis of mother tongue Oriya. 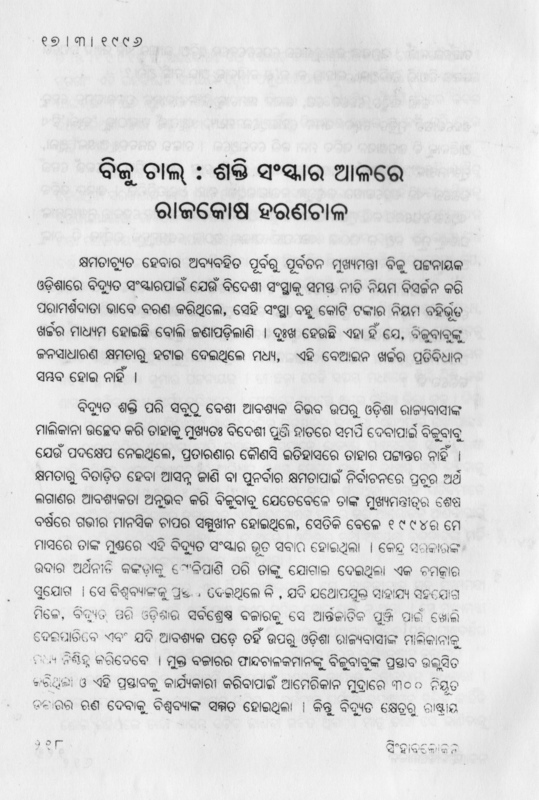 By all means the children of Orissa shall protect the geographical oneness of the motherland and Utkal Sammilani shall continue to guard the interest of the race, he said, calling upon entire Orissa to celebrate Nuakhai on the particular day as is being observed in areas wherever Maa Samalai is being worshiped in order to enhance the sense of societal integration in whole of the State. 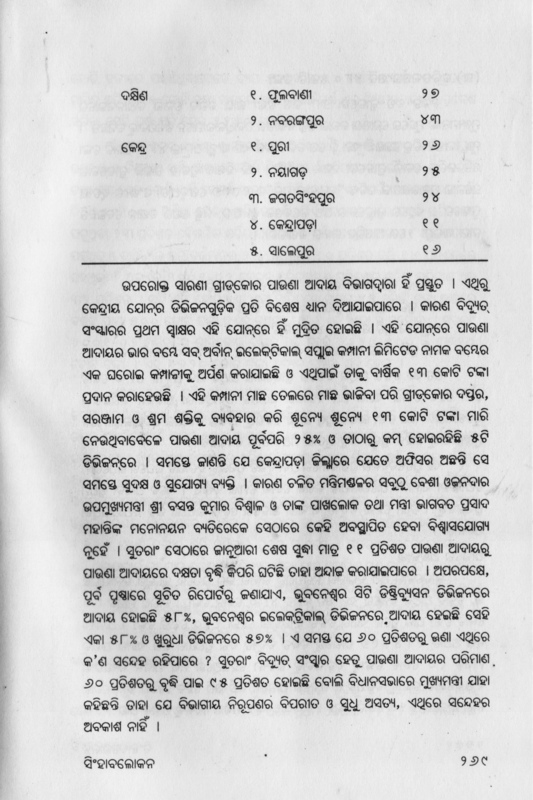 Sri Nayak described Nuakhai as the day of societal oneness, when to Sri Pattanayak this unique reminder of Orissa’s agro-matriarchal past, which had given birth to Jagannatha Culture, is in essence what Orissa needs be addressed to. 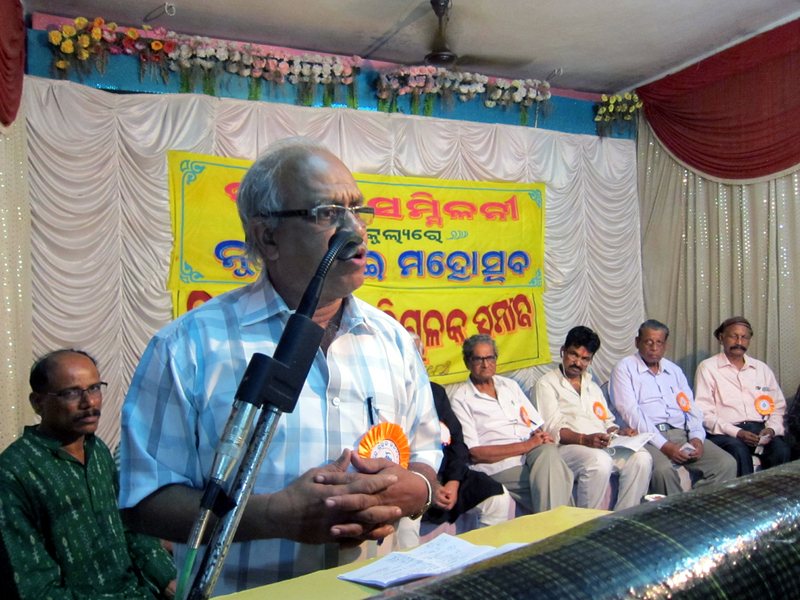 Prof. Biswaranjan dwelt on the historicity and magnanimity of Nuakhai, as Dr. Mohapatra stressed upon the need for honesty on parts of political leaders to make Orissa a land of glory and prosperity again. Er. 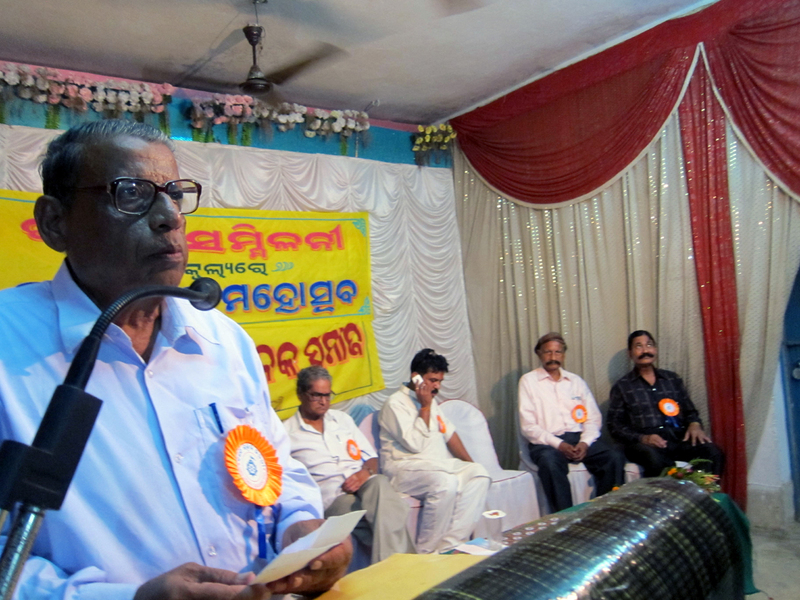 Balaram Patra recalled how Oriya employees, Officers and industrial managers were being harassed, humiliated and victimized by the non-Oriya authorities of the central sector undertaking – Rourkela Steel Plant – which had forced them to unite under the banner of Utkala Shilpa Parichalaka Samaj and how that unity has led to Oriyan developments in the industrial township. Similar unity among all the Oriyas everywhere would ensure prosperity for the Motherland, he said. Sri Chittaranjan Das proposed the vote of thanks. 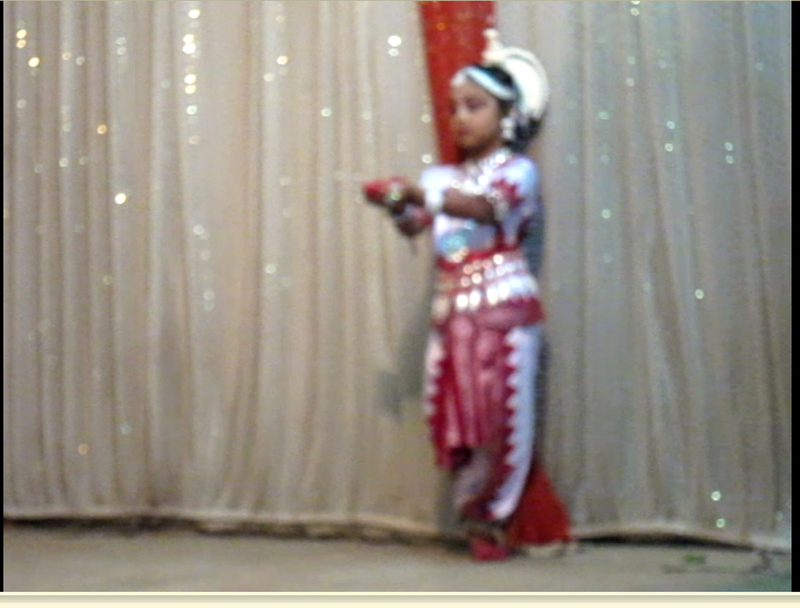 Baby artist Banshita Pattanayak mesmerized the audience with Odissi Dance when another young artist Ms. Shraddha Das presented a spellbinding Sambalpuri. Below are a few pictures of the event that depict the guests and speakers and the audience and the artists of the event. It is interesting to note that a ruling party MP Sri Baisnab Charan Parida has been trying to create confusion in the general public in matter of governance of Orissa in Oriya. 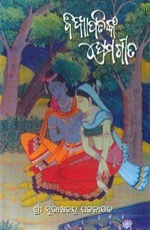 Whether or not recognition crisis lies at its root is a different matter, but curiously, a few writers are also collaborating with him, who have no qualms in showing their willingness to act as per a very condemned proverbial Oriya saying – “Ghaita Maru Pachhe Sautuni Randa Heu” (Co-wife be stripped of bracelets even if that requires death of the husband). How funny! 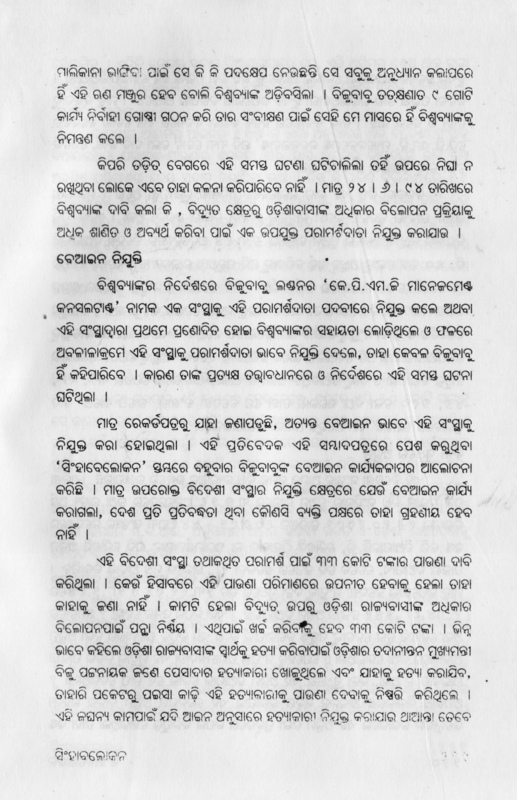 Sri Parida has created a committee styled “Bhasa Suraksha Sammilani” (hereinafter called ‘Sammilani’) with assertions to campaign for implementation of the Orissa Official Language Act, 1954, without knowing why the Act has not been implemented; and he has made this Sammilani condemn the positive steps the State government has taken in response to the movement led by ‘Odia Bhasa Sangam Samiti’ (hereinafter called ‘Samiti’). The Government has already announced to implement the same Act and has added force to this announcement by holding the first meeting of Joint Action Committee (hereinafter called ‘JAC’) comprising five ministers representing the government and seven language activists representing the Bhasa Sangram Samiti, on August 1, 2015. Despite having tried to disturb this meeting, Parida had remained present all through the meeting and had witnessed the unambiguous cooperation of the Government with the Samiti and vice versa to implement, sans any fault, the Official Language Act. 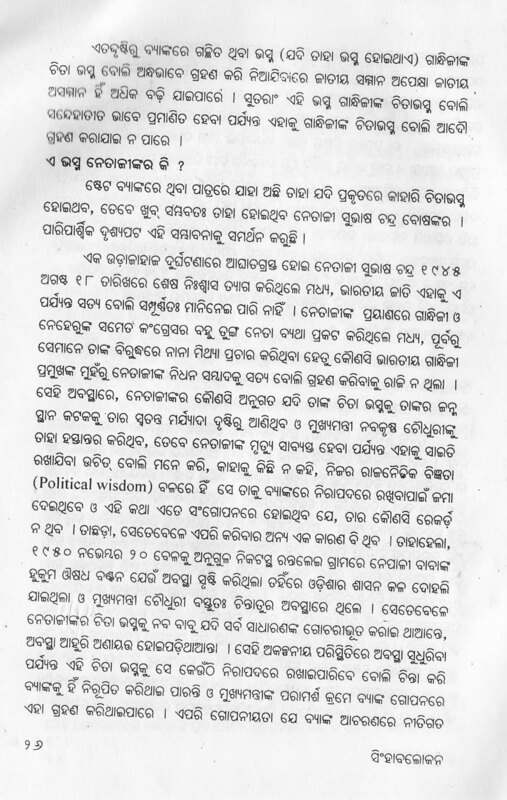 It is shocking, therefore, that, the Same Parida has condemned the Government’s positive proceeding with the Samiti to ensure governance of Orissa in Oriya and has misled some men of letters in this matter. In the document placed below, Parida has signed at serial No.6 a participant. So, it is intriguing that he is opposing the decision already taken to implement the Language Act. 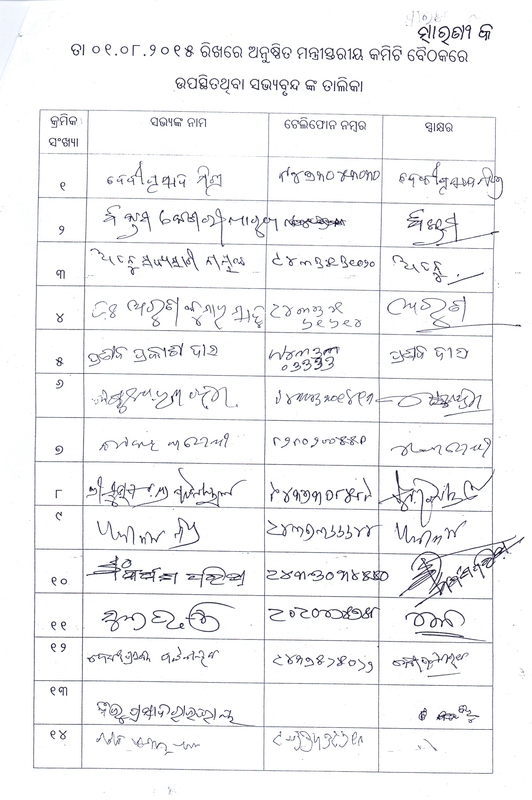 The signatories in the above document are: Ministers in the Committee – Sri Debi Prasad Mishra (chairman), Sri Arun Kumar Sahoo, Sri Atanu Sabyasachi Nayak, Sri Pranab Prakash Das and Sri Bikram Keshari Arukh; and Samiti members – Sankar Parida (Convener), Prof. Natabar Satapathy, Poet Gajanan Mishra, Researcher Dr. Subrat Kumar Prusty, and Journalist Subhas Chandra Pattanayak. 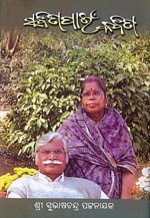 As Prof. Jantrana Parikshit, Dr. Bhagavan Prakash were unavoidably engaged in pre-fixed events, they were unable to attend the JAC on August 1. In the said meeting, eminent linguist Dr. Debi Prasanna Pattanayak, who was specially invited thereto, had suggested that steps should be taken to form a ‘Language Policy’ upon which Samiti Convener Sri Sankar Parida had proposed that Dr. Pattanayak should draft the same. The JAC had unanimously agreed. Accordingly, Dr. Pattanayak has submitted to the JAC Chairman Sri Debi Prasad Mishra the initial part of his draft and has been discussing with Samiti members about details of what should be placed in the Policy finally. He has also joined intermittent meetings of the Samiti with the Chairman of JAC, Hon’ble Minister Sri Mishra. 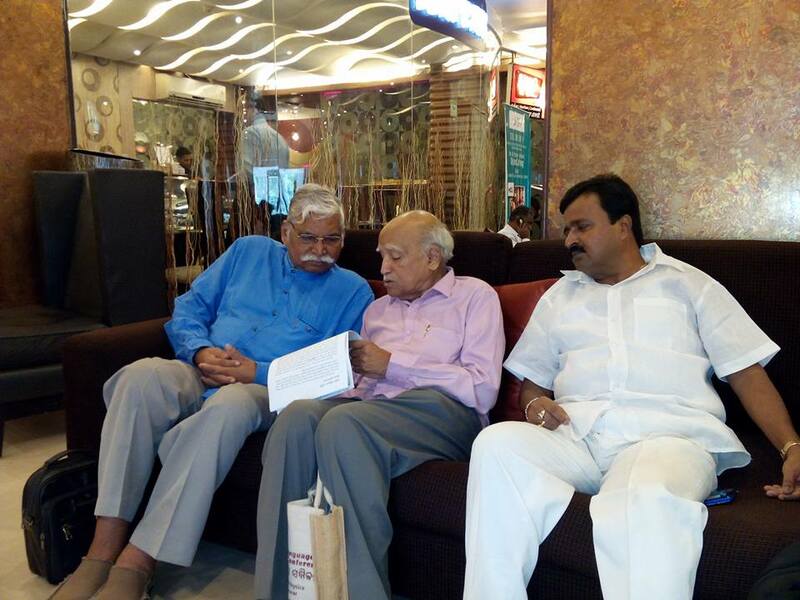 The above picture depicts Dr. Pattanayak discussing with Sri Subhas Chandra Pattanayak his draft when Sri Sankar Parida, Convener of the Samiti is keenly watching and advancing his suggestions. 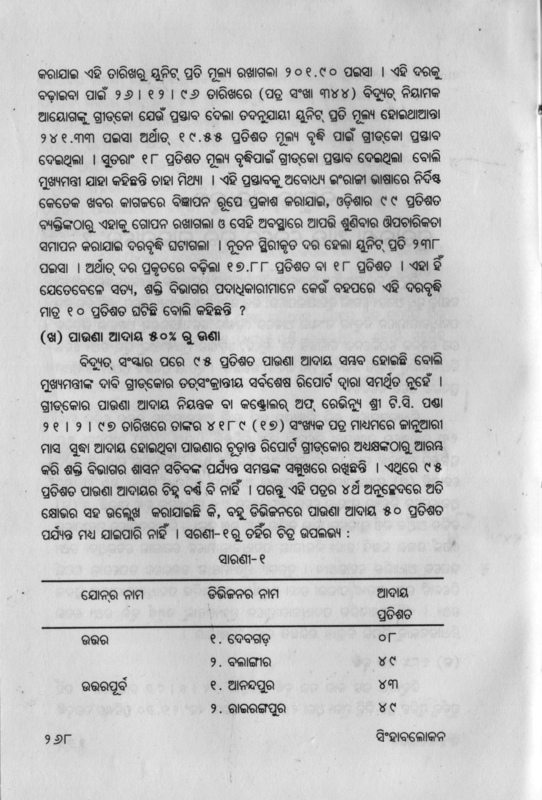 On the other hand, as per Resolution No.3 of the JAC, Sri Subhas Chandra Pattanayak has already submitted a draft of amendment to the Orissa Official Language Act, 1954 as it was found that the Act is inherently defective for which, even the then Chief Minister J.B.Patnaik, despite all his eagerness to ensure administration in Oriya, could not implement it. There are no Rules to drive the Act and there is no provision in the Act for enabling the Government to frame the Rules. Unless this lacuna is removed, the Act cannot be implemented as desired in Orissa. Hence Sri Subhas Chandra Pattanayak has formulated the necessary amendment to be made in the Act and has also submitted the same along with a set of the draft Rules to the Chairman of JAC Sri Mishra. Dr. Subrat Kumar Prusty is translating the same into Oriya to facilitate the process for the Government to expedite the necessary and unavoidable legislation. Both these documents shall be discussed and fine-tuned in the next meeting of JAC. In the meantime, Hon’ble Minister Sri Mishra has taken two informal meetings with the Samiti, participated by Dr. Debi Prasanna Pattanayak, Sri Sankara Parida, Dr. Subrat Kumar Prusty, Prof. Natabar Satapathy, Sri Beba Prasad Parija and Sri Subhas Chandra Pattanayak as a positive step towards governance of Orissa in Oriya. He has been apprised by the Samiti members of how to provide the support system for non-Oriya officers and functionaries to deal with their files in Oriya. When such promising and positive steps are being taken by the Joint Committee of Ministers and Samiti Members, and when the Government has already pronounced to implement the Act in a pattern that shall have no scope to be contravened without attracting penal action; and when, therefore, Dr. Debi Prasanna Pattanayak and Sri Subhas Chandra Pattanayak have formulated and submitted the Language Policy and draft Rules respectively to drive the Act ahead for complete governance of Orissa in Oriya, is there any justification for Parida to hold separate meetings in demand of implementation of the Act? What else is the motive if not a design to foil all these positive steps? 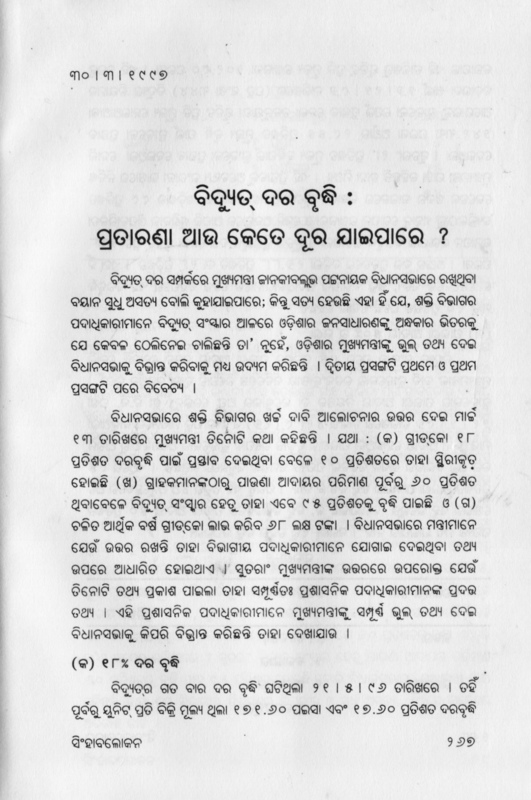 We have earlier reported that Sri Baishnab Parida had tried to derail the discussion on August 1 by creating a very uncalled for, quarrelsome hubbub, deplorable enough to prompt a member of the ministerial group to ask a staff to close the door of the Secretariat Conference Hall, lest observers waiting outside get a negative message. 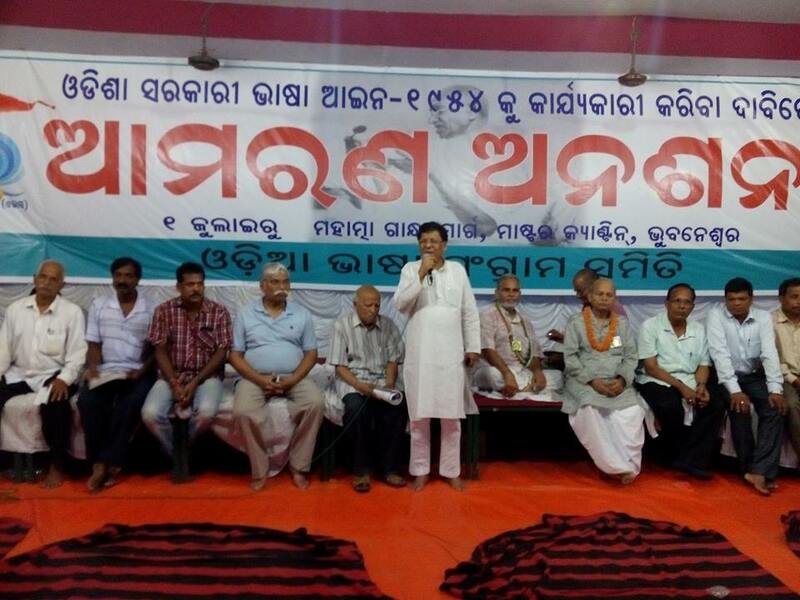 The above picture was taken when Sri Parida was addressing language activists under the canopy of the Samiti under chairmanship of Sri Sankar Parida at the hunger strike spot, fully endorsing the campaign and strongly condemning the Chief Minister for his negligence to implementation of the Language Act. In this meeting, though he is a BJD member in the Rajyasabha, he had roared that Naveen Patnaik being in power and sure to be in power by polluting the voters with wine and money as always, has no botheration for Oriya language. No wonder, the same Sri Parida is trying to foil the advance and positive steps the Government is taking for implementation of the Language Act. Motive? May be recognition crisis, may be envy, may be anything else. Sad, this is happening. As severe load shedding is torturing Orissa, we deem it proper to dwell upon the past that has given birth to the present predicament. 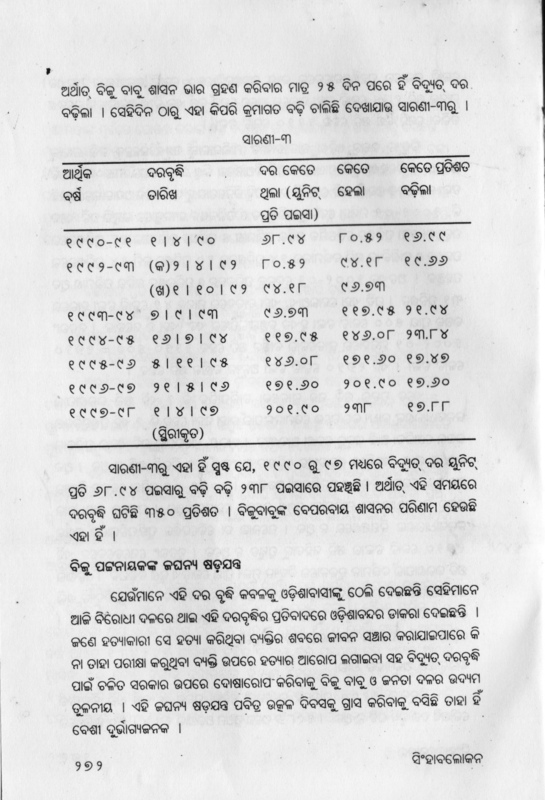 In the preceding posting, my attached Oriya article depicts the details of how the then chief minister Biju Patnaik had sabotaged the State by obliterating the Orissa State Electricity Board to amass personal wealth, as suggested by the shrewdly executed scam involving a foreign firm called K.P.M.G. Management Consultant. The situation has become catastrophic in the ongoing regime of his son, as established by unprecedented power-cut in the rainy season at the moment. 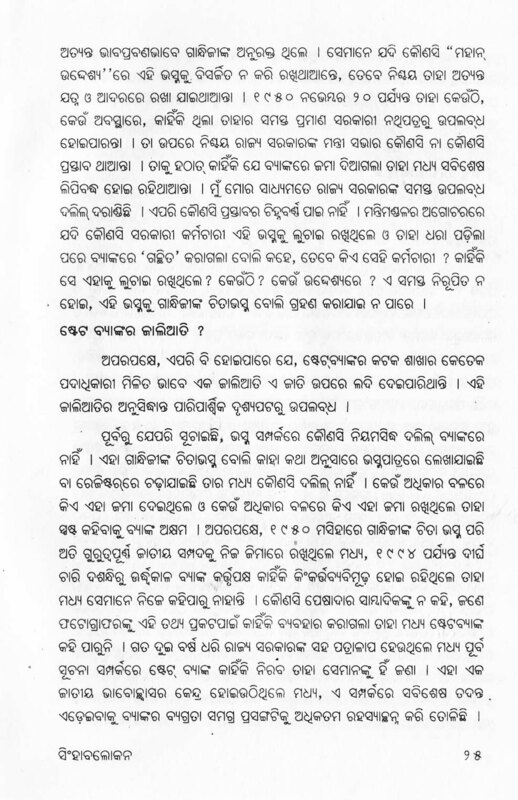 I am giving yet another dose of my dealing with the subject in Oriya language, published then in my column SINGHABALOKANA for the people of Orissa to know the footprints of treachery that has overwhelmed the State. 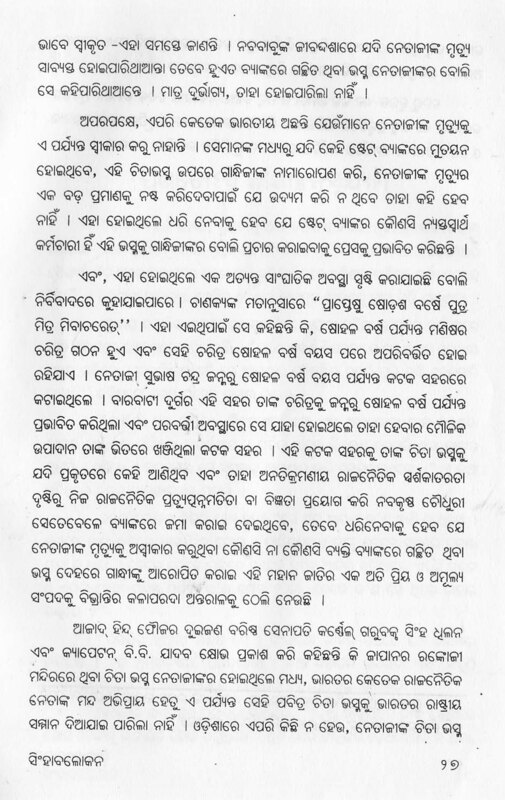 The attached article is scanned from my book of the same title and carries the date of its first publication in Orissa’s mainstream major, The Sambad. Load-shedding or power-cut: call it in any term; the tormenting reality is that, people in Bhubaneswar are now forced to go without electricity for two hours every day. In rural areas where grey-shedding is a regular feature, total load-shedding exceeds 5 hours a day in most of the villages. Our earlier fear that Orissa is heading towards power famine is coming true. In these pages of ORISSA MATTERS, we have several in-depth discussions on possible power famine with stress on how to avoid the debacle. But Chief Minister Naveen Patnaik has never bothered about what we have said. Now as the reality has so severely hit the State, it is necessary for the people of Orissa to know who has dragged them into this labyrinth of load-shedding. 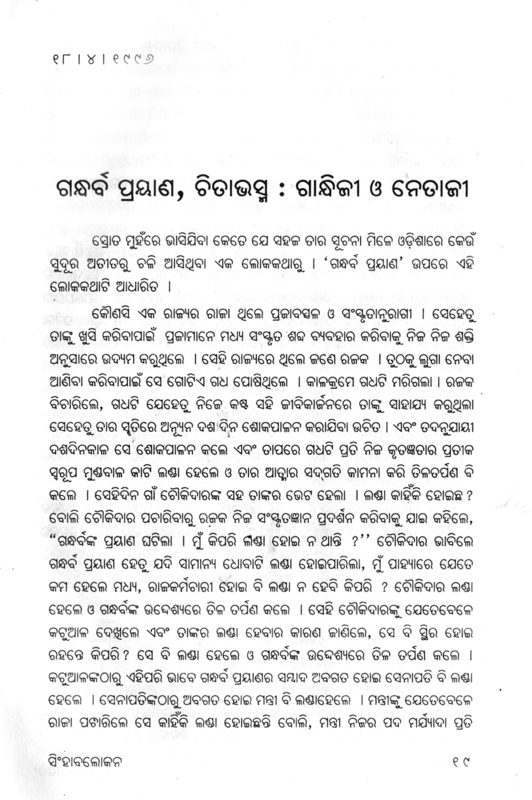 To facilitate more and more people of Orissa understand the syndrome, I will put below one of my earlier discussions in Oriya as published in my column SINGHABALOKANA in Sambad a decade ago, portending the debacle of today. They are scanned from my book of the same title. In the article I am to insert below, I have shown how for dubious reasons the then chief minister (father of the present CM) Biju Patnaik had dismantled the well-equipped and highly competent Orissa State Electricity Board and, hand-in-glove with the world capitalist syndicate, how had he privatized electricity in total disregard to the interest of Orissa. In this article a scam involving Biju was also exposed. Peruse the article and know the saboteurs. Enter your email address to subscribe to ORISSAMATTERS and receive notifications of new articles by email. Official Language officially mutilated: Will the Chief Minister please respond?